The skill of spelling correctly has long been held in high regard by Americans, with spelling contests dating back to the early 1800s. Today, the National Spelling Bee serves as a wonderful representation of all the races, classes, genders and religions in the United States. 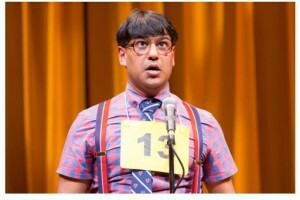 Spelling Bee cast member Vishal Vaidya (plays the role of William Barfee) has been blogging about his experiences for NY-based dance organization Motivated Movers. His most recent post gives us a behind-the-scenes look at the life of an understudy. 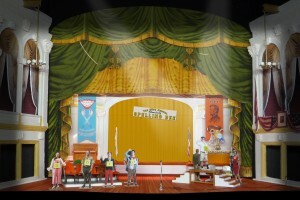 Months before any audience enters Ford’s Theatre for performances of The 25th Annual Putnam County Spelling Bee, designers read the script to create the perfect environment on stage. We recently asked Set Designer Court Watson about designing his third production for Ford’s Theatre. 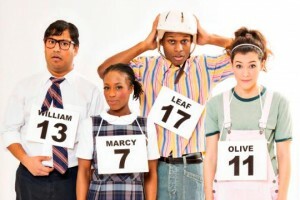 The 25th Annual Putnam County Spelling Bee captures the awkward moments of six adolescents as they spell their way through a local competition. 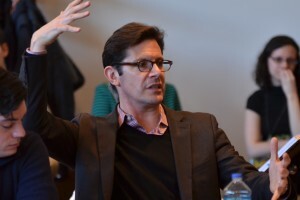 Hear from Director Peter Flynn about why he's excited to be back at Ford’s Theatre to direct this Tony-winning musical.